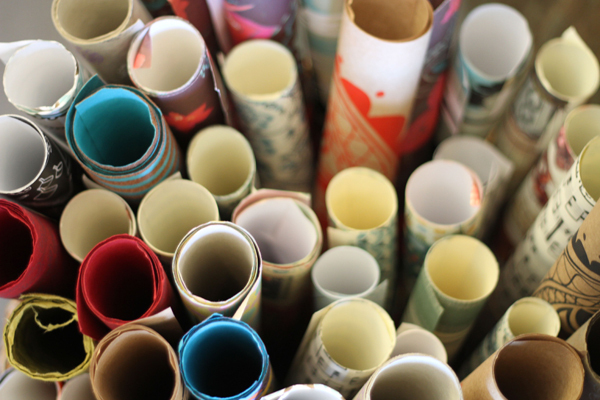 Tell our readers about your brand new paper shop, Little Paper Lane. 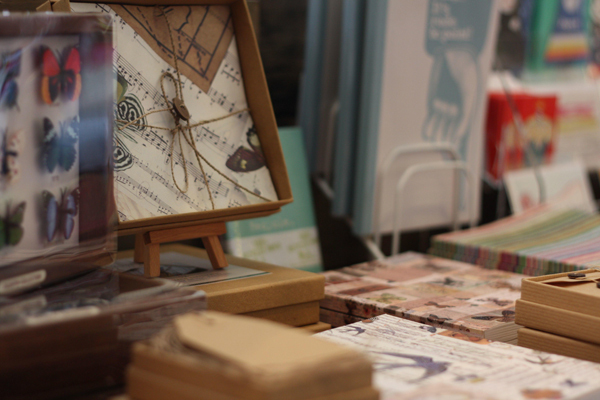 Its a happy little shop of paper treats. 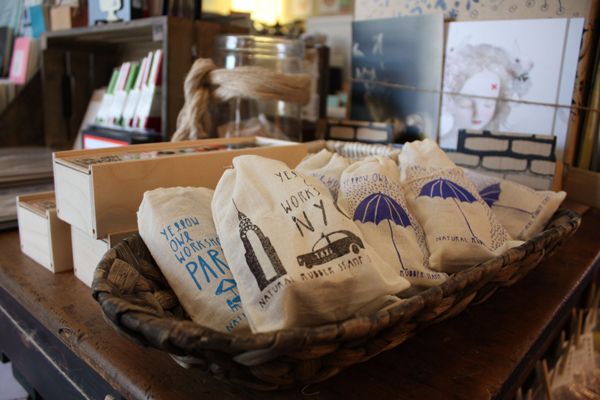 We smile a lot in Little Paper Lane because the products just make you light up! There are very talented little humans out there and I love that my store can be somewhere for the products they have designed and created all to live and be adopted by paper lovers! 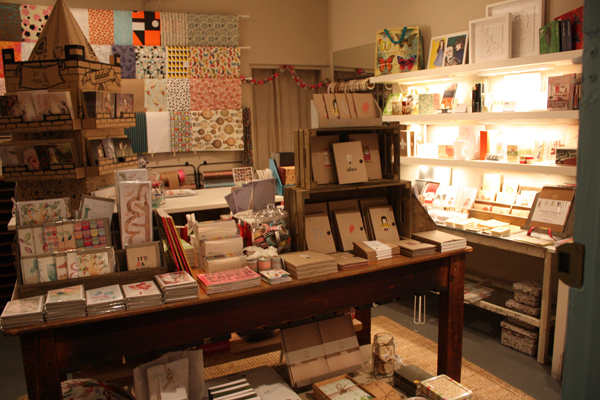 Its full of cards, wrapping paper, notebooks, diaries, ribbon and lots of paper gifts and other little trinkets of joy! I even sell a few cookies at the counter, cos all that paper shopping can make you very hungry! What is your background and what lead to you to open your shop? I actually have been a makeup artist part time for 10 years and have been travelling and was a Nanny for 6 years to a lovely family with 4 boys. I got married to a loud Canadian and had my own lil man who may be the cutest human that ever existed on the planet and maybe even the universe….I haven’t travelled to space yet though so I will have to confirm that at a later date! But basically I have been totally obsessed with paper products since I can remember, and I just saw that there wasn’t any place near where I live that was just a shop of very cute paper gifts! I found myself travelling to the city for notebooks and that was just getting ridiculous when trying to feed a paper addiction! I knew in my heart and mind that I could use my passion for paper and colour and I just went for it! I tend to just ‘do things’ and somehow because I absolutely LOVE it all, it has worked out! Touch wood! What do you love about paper and paper based products? I love that its so permanent. If u write a letter to someone, this day and age you know that person will keep that letter! Notebooks are beautiful, and I am not sure what it is about it all, but I am just drawn to it, I always have been! My Mum says I have just always loved anything to do with stationery and if ever asked what prezzies I wanted for a birthday it was always to include lots of stationery! I still want it as prezzies…but no one will give me any anymore because I kinda have a whole shop to look at and love all day every day… fair enough! My Dad always takes a huge amount of time to find the perfect card for people! He always stands there for so long just trying to find the right card and I am pretty sure that rubbed off, cause I love helping people find the right card for their loved ones! Who are your favourite indie labels at the moment that you stock? OHHHHH SO MANY!! I am in supernovalove with TMOD, their scratchy cards are just pure radness! I actually love all my lovely card designers! They put so much soul into their cards! Blueberry paper cards and wrapping paper are Bliss, MT Masking tape is the most awesome super ace product ever! An eye must be kept firmly on Studio Kandy. Lox & Savvy because well fluoro is simply the coolest! And I have just got Hello Sandwich Zine in and its like a mini bible for wrapping paper connoisseurs! Ebony is quite the inspirational woman! What has been the most challenging aspects of starting your own shop? Going from having my little Iggy (superawesomeradchild 3.8yrs) with me all day everyday, to being in the shop and only seeing him at night was the hardest part of opening the shop! In the beginning I was there all day and night and was not seeing him a lot and that was heartbreakingly hard, but I have a good little support group and now have a couple of little workers Rocky and my Mum and they do a couple of days of work which means I get at least a whole day with Iggy through the week and I also get to pick him up from kindy in the afternoon now so its much more balanced. I really feel for working parents that only get a small amount of time at night with their little munchkins! The shop itself has been wonderful and it has been hard to try and please everyone! In the beginning if a customer asked if we had a certain thing, I would think that they might not come back if we didn’t have that certain thing, I worked out they come back… phewww, but I have gotten to the point where I know I cant please every single human that ever walked the earth (even though I wish I could) but as long as I have a good range of products that are unique and beautiful, then I know I will be pleasing the majority of people…well the ones with good taste anyway! What products work best in the shop and what are you on the hunt for? Cards are a great everyday product, and people love that we stock cards that are made from small companies that may be run by 1 or 2 people, but generally I tend to keep a good range of products that work as gifts that are useful like beautifully boxed sets of thank you cards, or extremely pretty sticky notes! I am on the hunt for more ‘gifts’. We stock vintage robots and those sorts of products are a bit different and people love them, so I will be keeping my eyes open for gifts with a little bit of difference but still fit with the feel of the shop! What is the process for designers to submit their product to be potentially stocked in Little Paper Lane? The best thing would be for potential stockist to simply email me, if they have any photo’s or a catalogue they can email or post them to me! People stop by the shop from time to time but its quite hard for me to go through things when I am in the shop if I haven’t set up an appointment with them! I always love a little parcel as well, and I can say that when a little bit of creativeness has been put into a package it makes me look at it quicker, cos it reminds me of Xmas….and well I LOVE Xmas! Ha ha I also take huge bribes…joking…sort of! 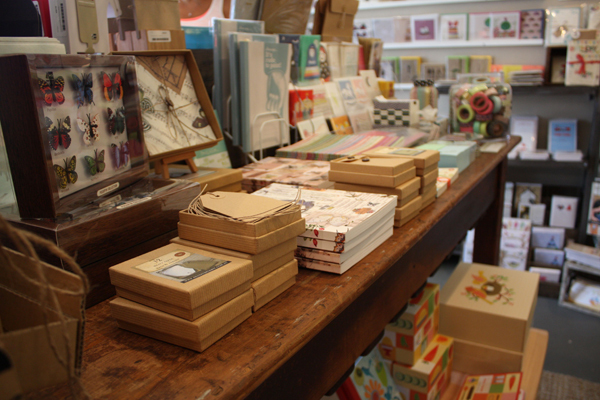 What are your plans for Little Paper Lane in 2011? Well being the Sagittarius that I am, I am always searching for an adventure, and my little shop of happy is one of my greatest adventures, and this year I have many dreams that I am trying my hardest to make into reality, one will be that we will have an online store! I am going to New York to find new products soon and we are designing our own range of products, so its busy busy at my little Peach Pit, but we are working our hardest to make it all happen. Watch this space though, because tomorrow my little imagination may just dream up something else for our shop to strive for! YAY for Little Paper Lane!!! So cute. Went there with my daughter and had such a lovely time. Brought home a great bag of goodies. 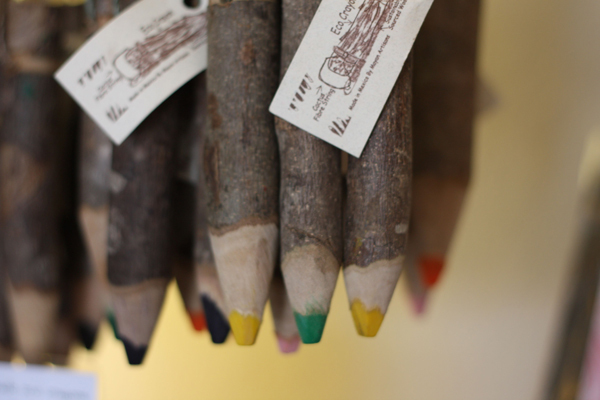 They have lots of great eco-friendly items featuring beautiful designs which I adore. Go visit! What a lovely little shop, and Jayde is just so friendly. 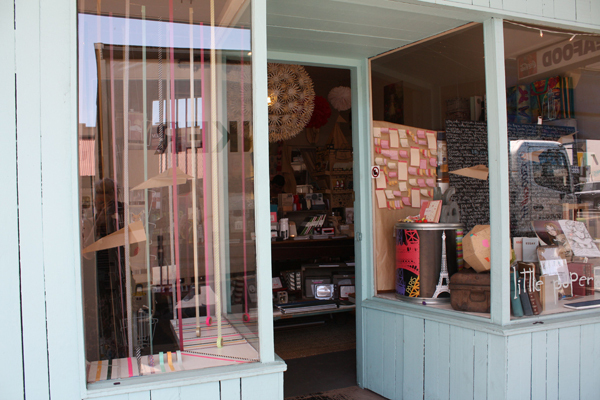 I’m particularly smitten with that MT Tape in the window display!! What a great shop. And Jayde is so helpful! Well done Jayde you little rock star you! Ohhh what lovely comments!! thank you so Much FK for giving me this lovely opportunity! I absolutly love what you gals have done and feel so privilaged to be included here!